WACO, Texas—Scecina Memorial (Ind.) head coach Ott Hurrle has been named the 2014 Power of Influence Award recipient. Hurrle was nominated by the Indiana Football Coaches Association (IFCA). Presented jointly by the American Football Coaches Association® and the American Football Coaches Foundation®, the award will be given to Hurrle at the AFCA Coach of The Year Dinner on Tuesday, January 13, at the 2015 AFCA Convention in Louisville, Kentucky. Hurrle began his coaching career, which currently spans five decades, in 1974 as an assistant coach for the Scecina Memorial Crusaders. After 14 years as an assistant, Hurrle succeeded his good friend, Ken Leffler, as head coach in 1988. His head coaching tenure began with back-to-back 2-8 seasons, but in 1990 and 1991, he led the Crusaders to back-to-back state titles and began building his legacy in Indiana High School football. 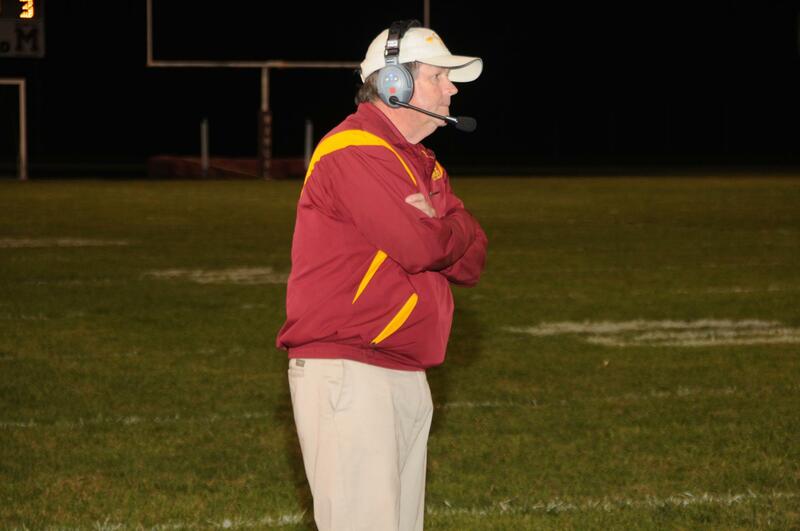 After eight years as the head coach at Scecina Memorial, Hurrle earned the position of defensive coordinator at Butler University from 1995-97. After three years of college football, he felt compelled to return to the high school ranks to impact more students in the classroom. In 1998, he became the head coach at Northwestern High School in Kokomo, Indiana. 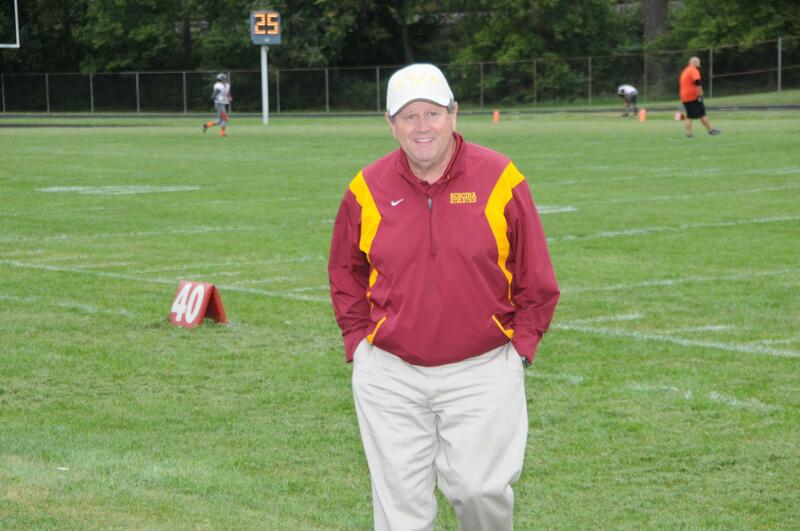 After one year at Northwestern, Hurrle returned to Scecina as head coach in 1999 and has since brought the Crusaders two more state championship game appearances and has further impacted the lives of thousands of students, coaches and community members alike. One of the many examples of Hurrle’s impact on the community is when a student was faced with the loss of a parent; Coach Hurrle not only provided emotional support to the student, he also helped the student financially. Hurrle has a current head coaching record of 155-123 and has won numerous awards for his contributions, both on and off the field, to the state of Indiana, including, two-time IFCA Region 7 Coach of the Year, two-time Indianapolis City Coach of the Year, IFCA’s Ken Leffler Award, and the St. Vincent Sports Performance “Spirit of Sport” Integrity Award, to name a few. “Coach Hurrle instilled in me accountability, discipline and great work ethic which has carried over to my everyday life,” said Donald Winston, 1995 Indiana Mr. Football nominee for Scecina Memorial High School. Coach Hurrle has built lifetime relationships with his student-athletes, which explains why 11 of the 12 coaches on his staff are former players of his. He has inspired several student-athletes to become educators and many of his former players vocalize that no matter what field of work they enter because they want to model their careers after Coach Hurrle. His legacy is passed down across generations, from the student’s lives he has impacted, to everyone they have touched, because of his influence. “If Ott Hurrle had not been at Scecina High School, I truly believe the Eastside of Indianapolis would be different today, and not in a better way,” said Sister Lavonne Long, educator and school administrator at Sisters of St. Francis Oldenburg in Oldenburg Indiana. Other finalists for this year’s award were: Bob Sullivan, Northfield (Minn.) High School; John Dabney, Milan C-2 (Mo.) High School; Jeff Bellar, Northfolk (Neb.) High School; Ron Wingenbach, Bismark Century (N.D.) High School; Arlin E. Likness, Yankton (S.D.) High School; John Hoch, Lancaster (Wisc.) High School. Past Power of Influence Award winners include: Larry Dippel, Amarillo (Texas) High School (2002); John McKissick, Summerville (S.C.) High School (2003); Marcus Borden, East Brunswick (N.J.) High School (2004); Ron Stolski, Brainerd (Minn.) High School (2005); Sid Otton, Tumwater (Wash.) High School (2006); Rob Younger, Sweet Home (Ore.) High School (2007); George Smith, St. Thomas Aquinas (Fla.) High School (2008), Jim Drewry, Booneville (Miss.) High School (2009), Brent Steuerwald, Shenendehowa (N.Y.) High School (2010), Noel Dean, Lowell (Mich.) High School (2011), Andy Lowry, Columbine (Colo.) High School (2012), and Bob Burt, Cypress (Calif.) High School (2013).